Unique one-owner apartment for sale If you have a green-thumb and enjoy the outdoors, you will LOVE this one-owner apartment with its original ground-floor patio. Its large enough for potted plants, flowers and trees along with your comfortable outdoor furniture. The overhang from the balcony above offers plenty of protection from the elements. This east-facing flat also provides plenty of natural light to truly enjoy outdoor living year-round. After years of checking in on their apartments and living elsewhere, the "sisters have decided to sell their two, first-floor flats in Parklane Towers -- Apartments 1-A and H. Apartment 1-H will look amazing with new carpet, or stain the concrete underneath. The wood work is natural, never painted. The large, first floor gated-patio offers direct access to the grounds great for potted gardening and relaxing. The two bathrooms need extensive cleaning. The towel rods and fixtures are original. You can see the potential of this apartment with the original grey floor tile and black and white striped wall paper in the bathroom. What this means to you is you can buy a two-bedroom, two-bath home in a secure building with over 1,400 square feet for only $30,000 well below market value. 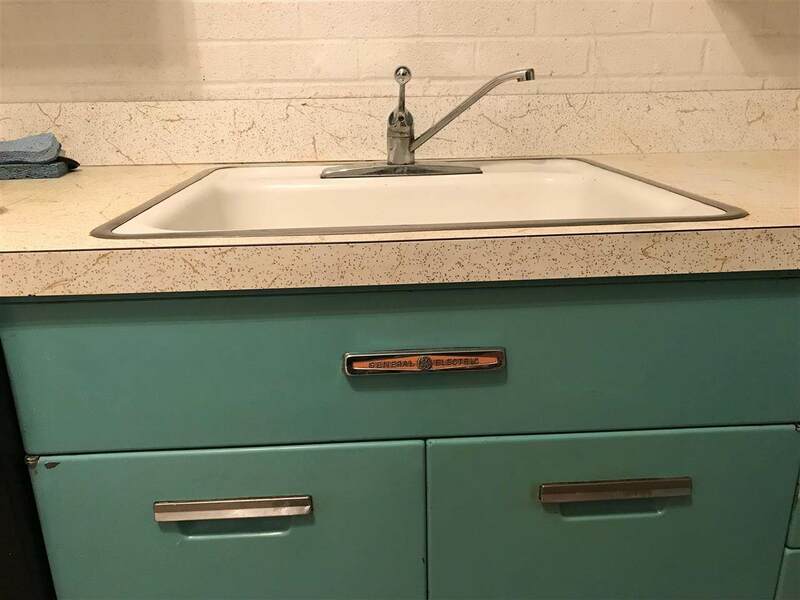 Most importantly of all, in addition to the original patio, the kitchen still has the original General Electric metal cabinets and drawers complete with the original matching counter-top stove and matching oven. Incredible! 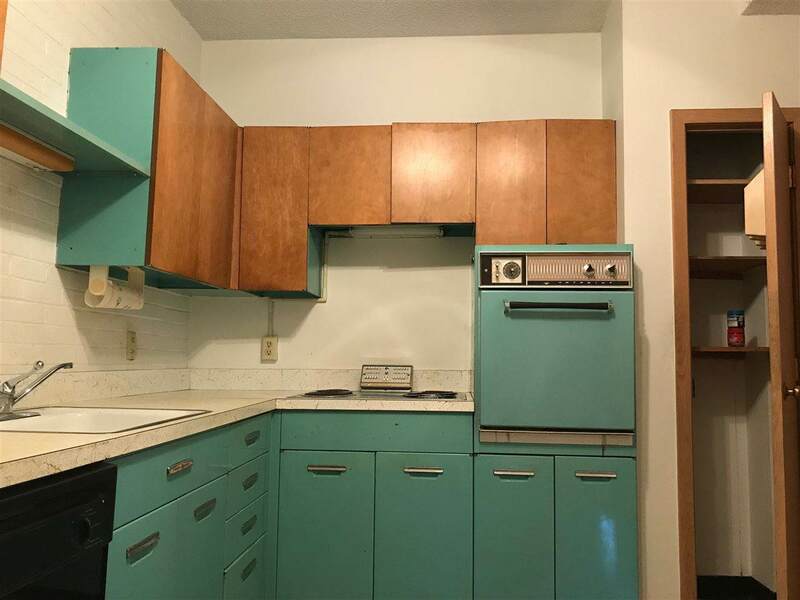 These turquoise metal cabinets have the original, modern wood doors on the upper. What a unique find. 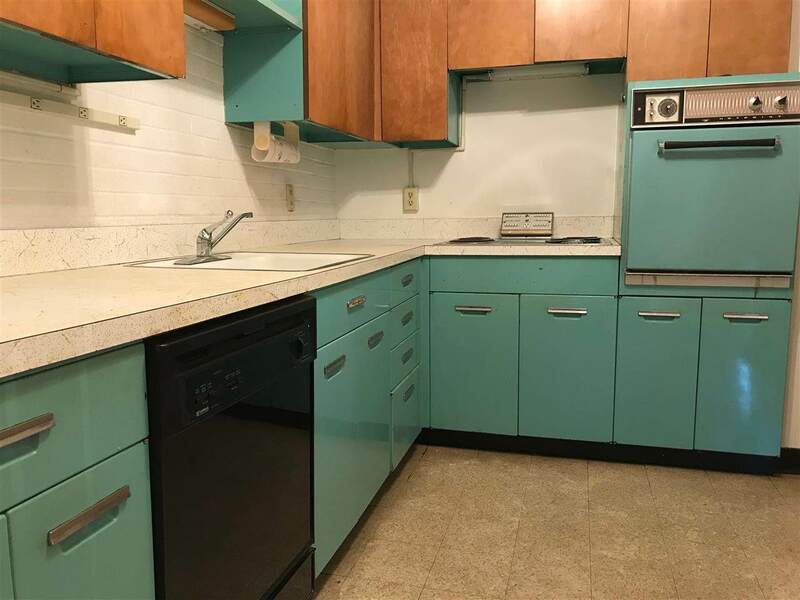 This excellent condition of modern, mid-century metal cabinets is hard to find. The brick wall adds character. Theres a pantry and service door for direct access to the hallway. The appliances stay. The entry leads to an open floor plan that makes this flat feel larger than it is. The first floor offers the utmost in convenience. Absolutely no stair steps required to live here. Theres ample storage with double closets in the master, a coat closet in the entry, and more storage in the hallway. Residents enjoy the valet parking and easy access to the lobby mailboxes. Many enjoy walking to Parklane Shopping Center to browse the bookstore, eat at one of the restaurants, or to pick up a few groceries. Elevators transport residents to their friends on other floors. You can also take the stairs. The free fitness room helps keep you in shape. Take the next step to enjoy a care-free lifestyle in a secure environment. The wall of windows provides natural lighting while you relax in the comfort of your new home. Plus, the location offers easy access to Kellogg and all of Wichita. Estimated home owner fees for 1-H are $547.82 a month. Monthly fees include 24-hour door attendant, valet parking, basic cable with the local channels, inside package delivery, valet trash and recycling, water, property taxes, heating and cooling, lawn care, and building maintenance. Owners are responsible for condo insurance, apartment maintenance and upgrades in addition to household electrical usage. Additional services available include garage parking for $50 a month, lot parking at $15 a month, and Cox extended cable. Phone service and internet connection are at owners expense. This is a pet-free, non-smoking building. One of the few high-rise apartment buildings in Wichita, Parklane Towers offers 10 floors with 72 apartment homes behind locked doors with an on-site manager. Each flat has a spacious floor plan and its own balcony or patio that looks out over the city or a patio on the ground floor. Elevators and no steps required makes these apartments perfect for all ages! Covered parking, elevators, community laundry room, valet parking, fitness center, library and additional private storage are available. Residents can rent a guest apartment when friends and family visit. Door attendants get your approval before they admit guests. An iconic Sidney Smith Platt designed building.